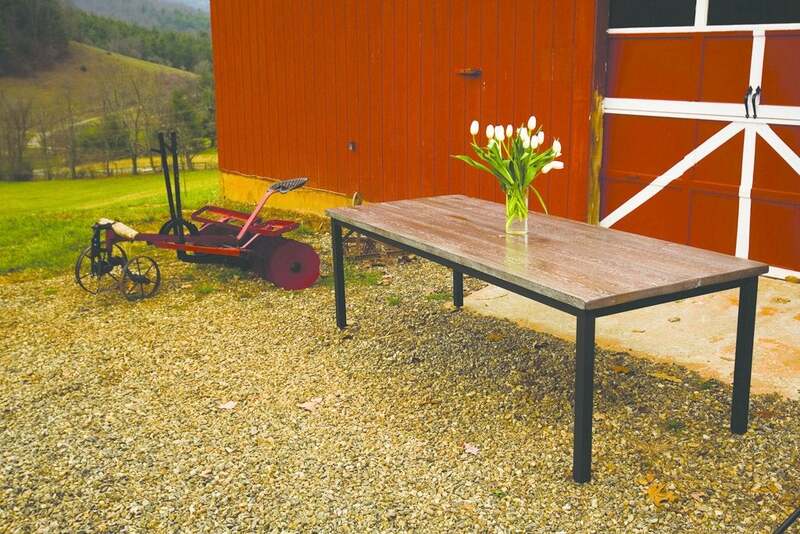 North Carolina-based Old Wood Co. builds quality furniture pieces from primarily reclaimed wood, proving that—once and for all—local, sustainable goods are no mere fad. When Darren Green founded Old Wood Co., in 2007, he had social and environmental consciousness top of mind. After working in the furniture industry for years, he’d seen firsthand the effects that the Asian import industry had had on American furniture makers. In starting a new company, Darren wanted to create high-quality furniture that didn’t have to compete with low-cost imports. 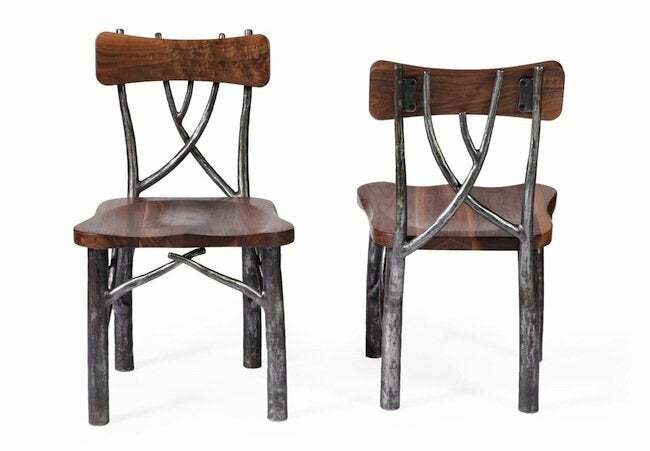 Instead, his pieces—built primarily from reclaimed lumber—stand on their own and attract interest from homeowners who care about aesthetics and origin. The unique wood grain, knots, nail holes, and worm holes of each board mean that every table, chair, and desk is truly one-of-a-kind. 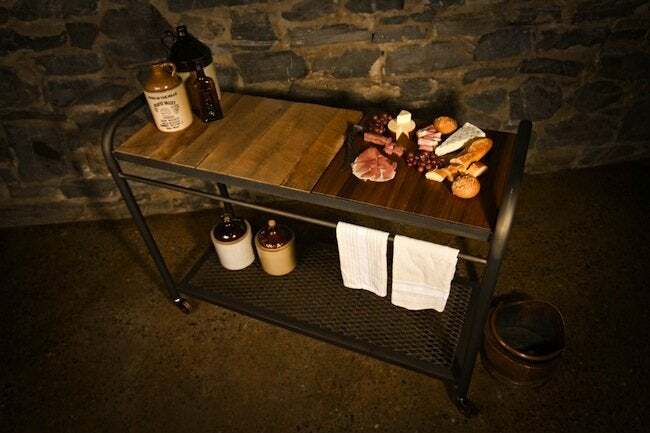 Not only that, the Asheville, North Carolina-based team of woodworkers, wood finishers, blacksmiths, and metalworkers craft every aspect of the furniture for a finished product that is 100 percent American made. We checked in with Darren to talk shop and walked away with an understanding of the inspirational beginnings of his company and a whole lot of insight into the process of creating high-quality furniture. 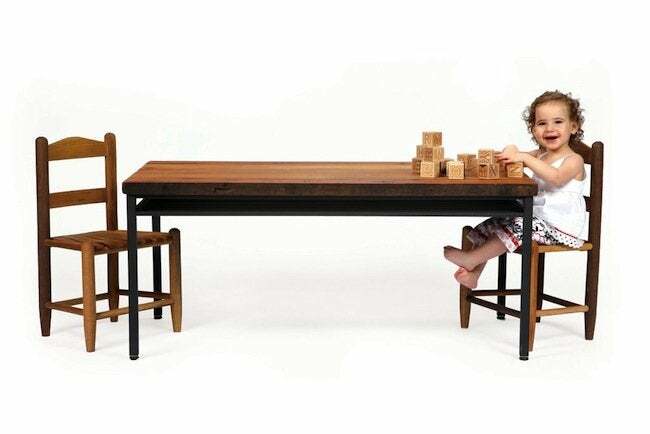 At age 22, I started working with my father in the furniture industry. After about two years, I was offered a sales position at Lee Industries, an upholstery manufacturer in Newton, North Carolina. 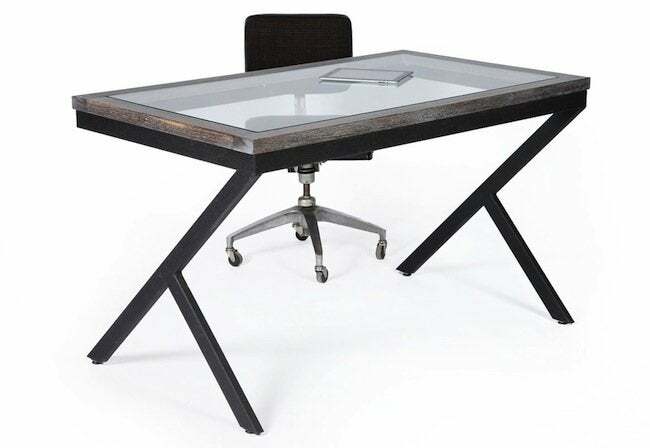 It was there that I really gained a better appreciation of building and selling well-made custom furniture. After seven years, I decided I wanted to build my own company using the lessons I had learned from my father as well as my close friend and mentor Norman Coley, who was the president of Lee Industries at the time. It is that challenge of building things from scratch, whether a business or a piece of furniture, that keeps me engaged every day. First and foremost, we provide all our employees with a living wage, shared health insurance plan, paid vacations, yoga on Tuesdays, and a host of other great benefits. 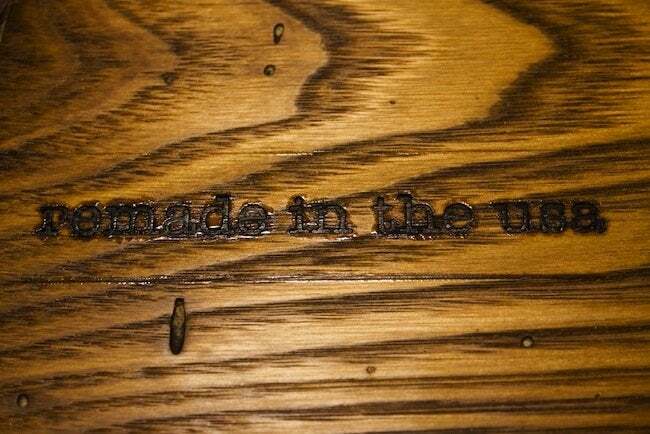 Environmentally, we use locally sourced reclaimed hardwoods as well as sustainably harvested Appalachian hardwoods. We use only oils, waxes, and water-based stains and polyurethane top coats. We use these environmentally friendly finishes to protect our environment and all our employees in the shop. We work with several local sawmills and reclamation experts to source the best material in our area. One of our main reclaimed wood suppliers is a full-time firefighter whose station is a mere two miles away. The uniqueness of the grain and reclaimed characteristics. Every board tells a different story. Some boards were milled into quarter-sawn, flat-sawn, or rift-sawn—all depending on how much yield the sawyer could get out of that log. When we bring those individual pieces together in a top, we’re telling our own one-of-a-kind story by placing them in a sequence that looks the best. Authenticity. Nature. Grain variation and patterns. Continuing to provide the same level of care as our company grows. As we increase production, it is vital to our success that we maintain our highest level of work. I tell everyone in the shop that we need to be our biggest critics. If we don’t love the piece, then it is not ready to ship. Seeing a piece prior to finishing that already looks great. If a piece looks good in sanding, it is going to look awesome after finishing. Our newest addition: a CNC router with a rotary axis. The tool will allow us to render a turning or a carving in a design program and quickly produce the part. It is the closest thing we will ever get to having a robot in our wood shop. 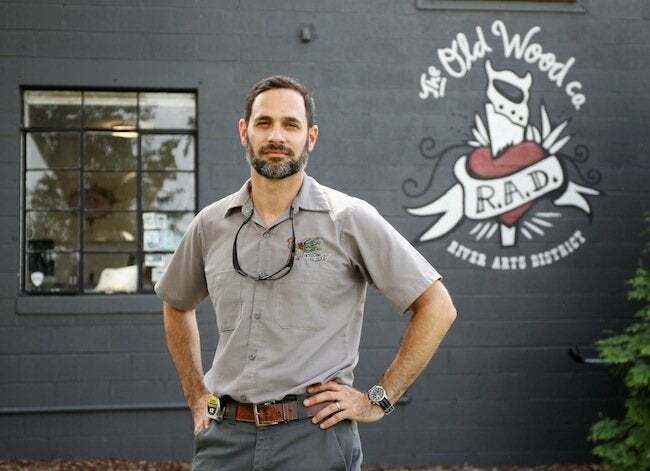 Old Wood Co. is based out of Darren’s 10,000-square-foot space in the River Arts District of Asheville, North Carolina. Visit the website to request more information or schedule an appointment.